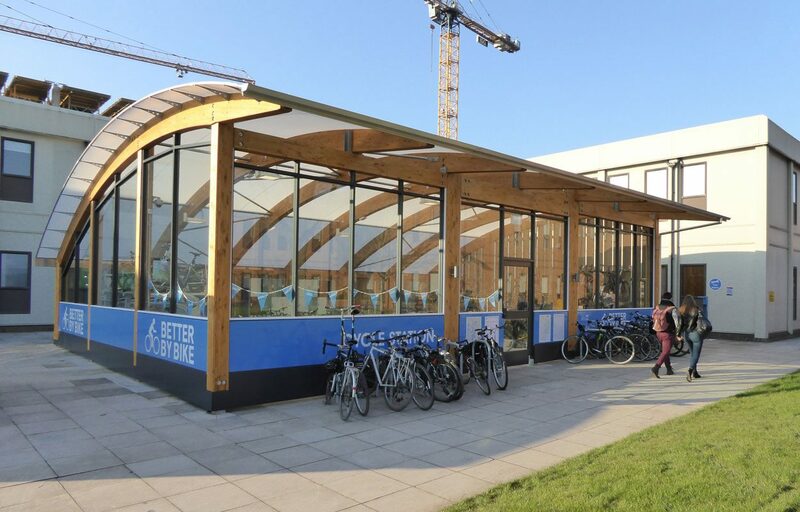 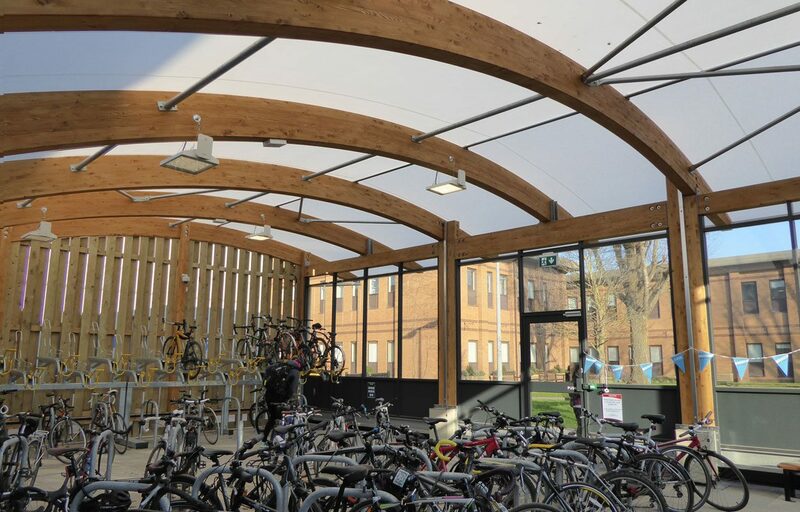 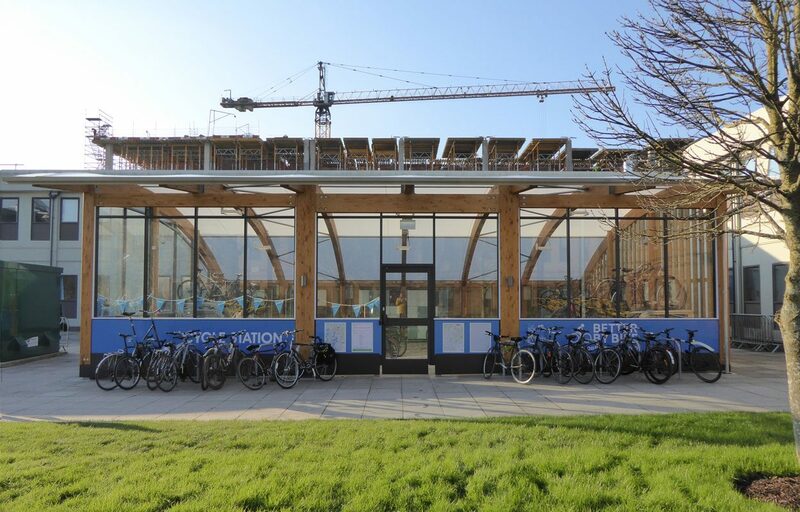 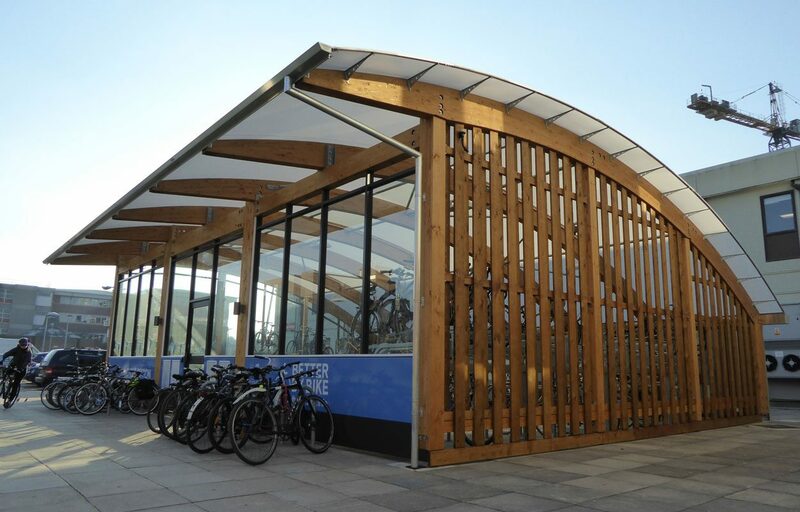 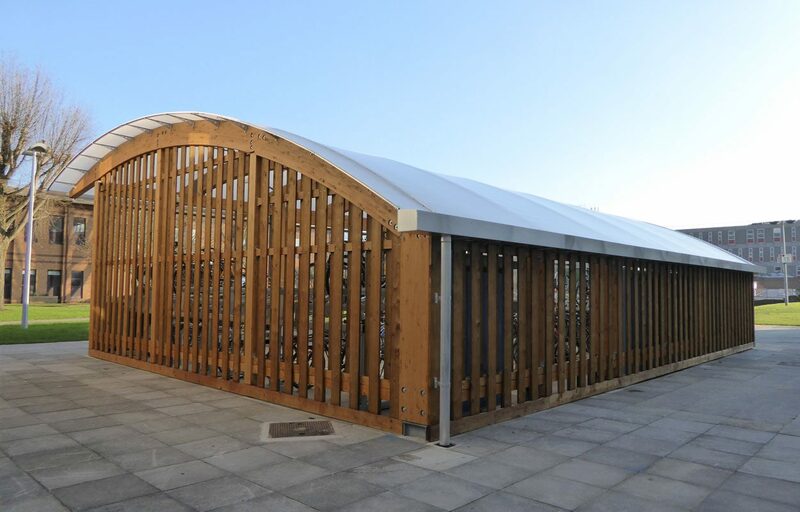 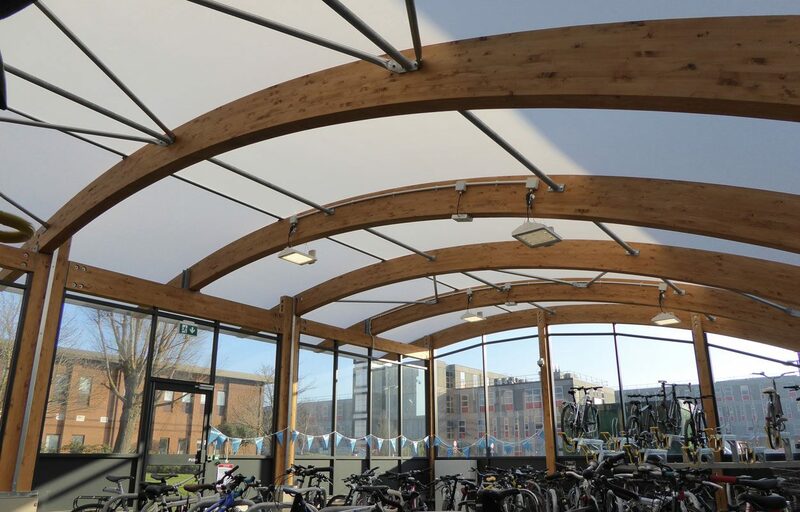 An enclosed glulaminated timber canopy, 15m long by 12m span, forms part of Bristol’s wider Better by Bike sustainable transport strategy for the University of the West of England (UWE). 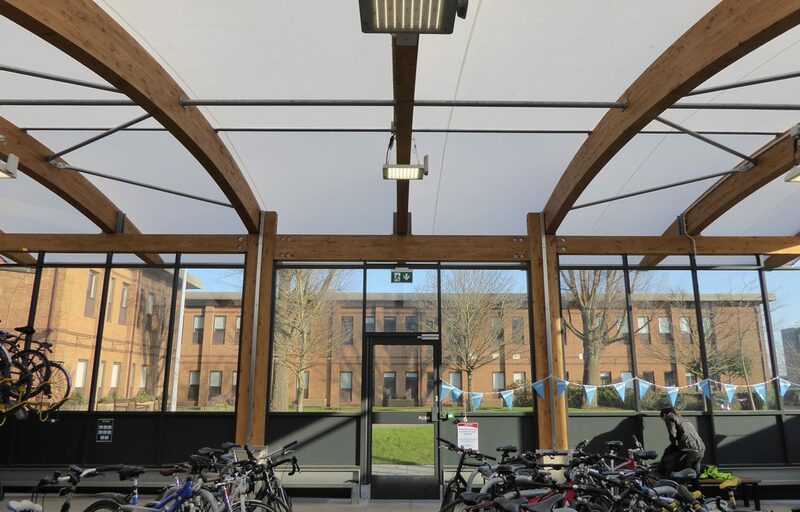 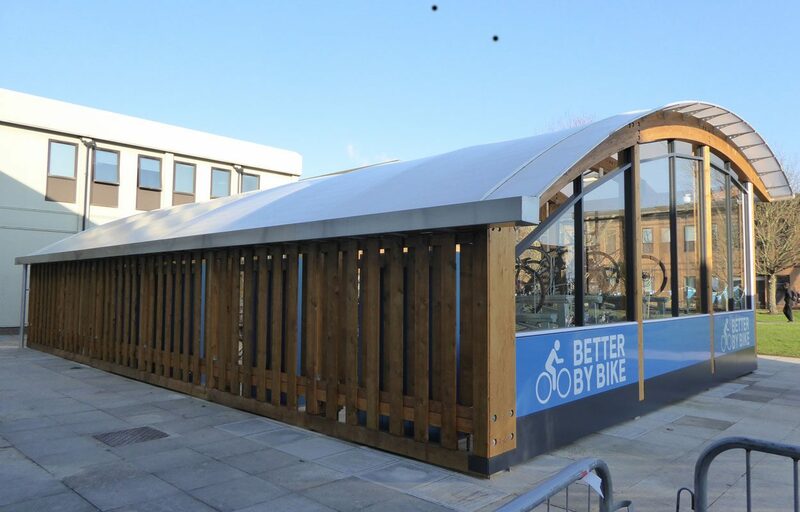 The stylish cycle shelter, finished in an exclusive fabric membrane technology to ensure longevity, will go a long way in helping the university collaboratively achieve a 20% increase in Bristol city cycling by 2020. 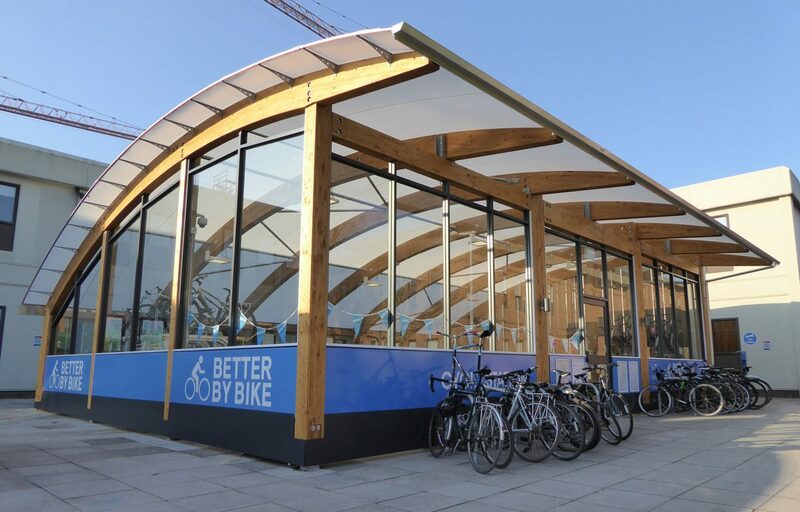 The cycling solution not only endorses sustainability through the promotion of cycling, by offering a safe and secure place to store bikes, but also through the structure itself – timber is becoming increasingly popular construction material because it is one of the most environmentally friendly materials available. 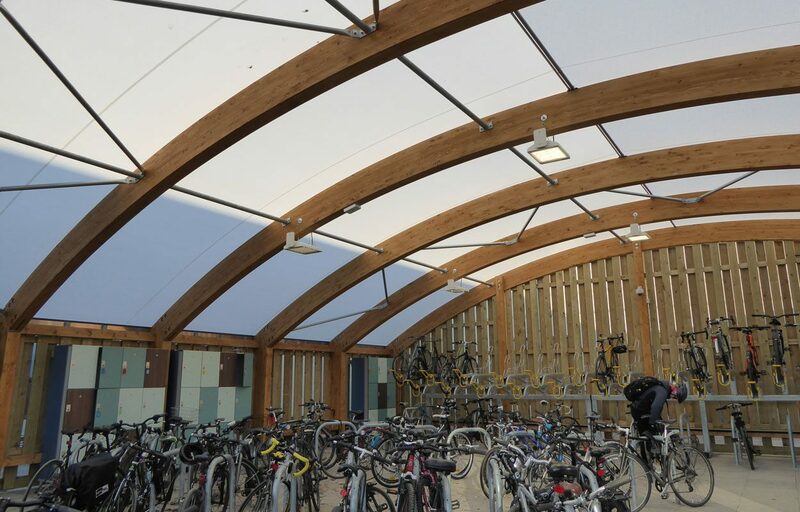 UWE’s cycle shelter comes with an industry leading 25 year guarantee.